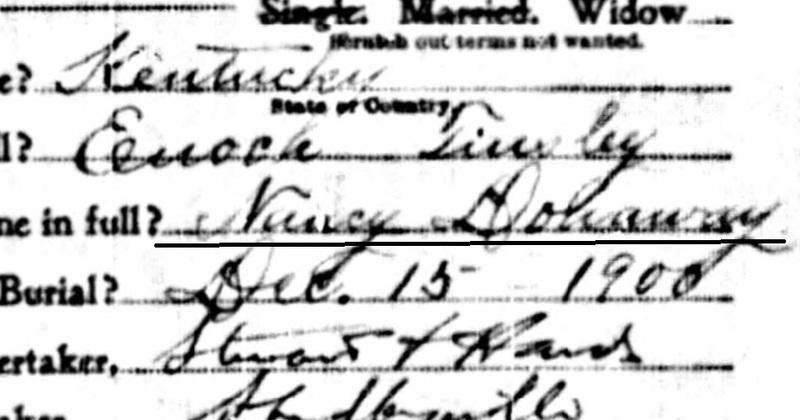 For years I’ve operated on the belief that the maiden name of an ancestor was Dunaway. I had never seen it written on an actual record. The first reference to the name was on a family group chart someone compiled years ago with no indication of a source listed. The name had simply been copied and copied over and over. 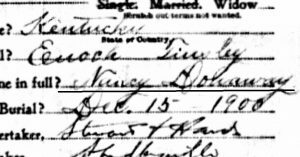 This 1900 death certificate for a daughter of the woman listed the maiden name. Maybe it’s Dunaway and maybe it’s not, but if your only source is a reference that is completely uncited there’s a chance it might not be right. Original-the first time the document was recorded. This classification scheme is not perfect. No scheme is perfect. This classification scheme does not comment on the accuracy of the record. That’s the job of the researcher as some original sources are virtually worthless and some derivative sources are excellent. For more about record classification and analysis, consult Evidence Explained. We have our webinars back for Cyber Monday sale extended through 29 November–save 20% on your order. Details on our website. When Did You Last Check FamilySearch? 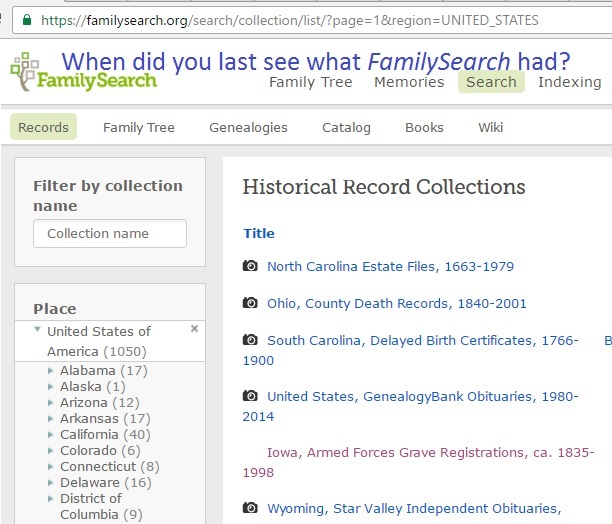 FamilySearch updates their collections on a regular basis. When was the last time you checked out what they have for your state of interest? This link will pull up the page shown in the illustration–just click on the state you need on the left hand side of the page. “Called to the Colors” was a phrase used at least during World War I and World War II to usually indicate that a person had been drafted or called up to service. Such a reference in a newspaper should be backed up with military and other records. 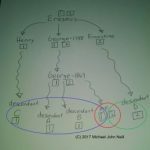 Thanks to JWB and DF for the discussion of this term on the Genealogy Bloggers group on Facebook–after seeing it in a post on the HomeFolk Tales. We often concentrate on those records that are easiest to understand or easiest to access. Make certain you are searching records at all political levels–town/village, county, state/province, and nation. Not all locations will have significant records at all levels, but you will not know if you do not look. What Was the Last Guide Book You Read? I’ve been reading Ann S. Lainhart’s Digging for Genealogical Treasure in New England Town Records. I’ve already gotten several good ideas for my own research (I take notes in pencil right in the book) and, through reading the book, have added to my list of additional books that will help my understanding of records in this area. While I’ve researched for thirty years, I’ve only recently discovered my New England forebears. When was the last time you read a guide book? I have an uncle who was born the year his father died. Any stories he knew about his paternal family would either have been filtered through his mother (who did not know her husband or her husband’s family until she was approximately sixteen) or have been stories his siblings told him. It does not mean the stories are wrong, but could explain why there are not too many or why some are incorrect. Is That Really A Middle Name? A relative told me that my ancestor was named Trientje Katherine Behrens. It turned out that Katherine was not really her middle name–instead it was the anglicization of her first name, Trientje. If anything, in this case it was an alternate first name. Happy US Thanksgiving from Genealogy Tip of the Day. Don’t forget to preserve some of those Thanksgiving traditions and recipes for future generations.